Supplements, do I really need to be taking them? Well the honest answer is……..….it depends really! Not a very clear and concise response I know! The point I’m trying to make is that the decision to take a supplement should not be based on a companys marketing strategy or advice from another person; instead it should be down to your individual circumstances and whether the supplement will truly benefit you or not. Am I deficient in essential nutrients? Am I showing symptoms that would point towards this deficiency? What are my training goals and will taking supplements help me get there? What physiological system do I hope to target by taking this supplement? Is there a greater risk over reward and what are the possible side effects? It is vitally important to create a solid foundation with which to build your health and fitness journey on. How do you know you need supplements unless you actually follow the training and nutrition plan that has been given to you in the first place?! These are plans which have been developed by your trainer which if followed should help you achieve your desired goals, so make sure you do it! Eat clean, train hard and remain consistent. This in turn will ensure that your decision making in the future is justified. Don’t cut corners; you’ll pay for it in the long run! Don’t try to run before you can walk! By this I mean don’t shoot for the non-essential nutrients such as creatine, caffeine and beta alanine before you supplement the essential nutrients in to your diet. I’m talking about supplements such as protein whey, omega 3 fish oil and multivitamins. Don’t get me wrong the non-essential nutrients can certainly have a positive effect on someone’s training under the right circumstances but you must ensure the more essential demands for the body are met first. Ignore marketing messages or peoples opinions and focus on scientifically backed studies that give you the factual information on whether a supplement is useful and safe. There are plenty of great textbooks and academic journals to read through as well as websites to visit (examine.com is a particular favourite of mine). After this if you’re still unsure about what to take then ask for advice from a fitness professional who can give you a precise and honest answer. Although no supplements are absolutely essential in my experience I have used a number of ‘essential supplements’ to compliment clients nutrition plans. 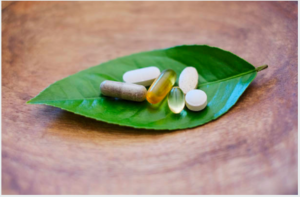 In my opinion these 5 supplements are the most important….. Protein whey is known as a complete protein which means it contains a full amino acid profile (the building blocks of the body). Protein whey isolates are considered better than concentrates as they have a higher protein concentration as well as little to no lactose (sugar found in milk). It is great to include protein whey isolate in your nutrition plans when a whole food protein choice is more difficult to access. It is also particularly beneficial to include isolates in a post workout meal due to the fact it is of a high biological value and contains a high percentage of leucine (the key amino acid for promoting protein synthesis). This essentially means that the protein will be digested and absorbed at a faster rate than any other protein which in turn has a positive effect on the activation and increase of protein synthesis within the body. Omega 3 fish oils contain fatty acids known as docosahexaenoic (DPA) and eicosapentaenoic (EHA). These omega 3 fatty acids has been shown to have many positive effects on the human body including benefits such as; improving brain function, increasing health and growth of hair, skin and nails, reducing inflammation in the body and supporting cardiovascular health. Taking an omega 3 fish oil is also a great way to increases your daily ‘good’ fats. A greens supplement typically includes a combination of nutrient rich foods such as barley grass, wheat grass, spirulina, vegetables, legumes and fruits. Full of antioxidants they are a great way for you to increase your daily intake of vegetables and fruit. It’s likely you aren’t consuming your recommended amount of five portions a day on a regular basis so a green supplement makes this nutrition goal far easier to achieve. It may be important to include a multivitamin in your diet in order to supply your body with a better balance of vitamins and minerals. It’s fair to say that most people are marginally deficient in a number of micronutrients so an introduction of a multivitamin should be viewed as a nutritional back-up plan. Medium chain triglycerides are a form of saturated fatty acids that have many health benefits. It is derived from coconut oil (which contains 62-65% MCT) as well as other foods with saturated fats but essentially arrives to you in a more concentrated form. MCT’s are easily digested and sent straight to your liver where they have a thermogenic effect and the ability to increase your metabolism. It is particularly great to use in your diet as a source of fuel for the body because MCT will bypass normal fat digestion and absorption compared to other fats. If you can follow these key points not only will you be getting the most out of your diet but you’ll be one happy, healthy human being! !